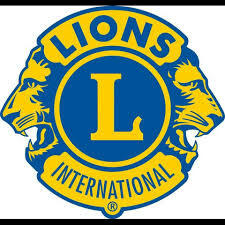 The Lions Club Market has a new home at the Gem. For updated information, go to their Facebook page. Please remember to bring along some snacks to share at the interval where we can chat about movies, have a tea or coffee and prepare for the main feature. You are invited to come to our Christmas Party to celebrate and socialise. We will start once the Youth Plays are packed away. All are welcome to attend this Play Reading to listen or participate. Licensed Bar available. No BYO. Bring a plate to share. If you're a budding actor, fire-breather, belly-dancer, singer, comedian, poet, or if you just want to test out your latest guitar piece in front of an audience - this is the event for you. If you're not a performer yourself, why not come along and be part of the audience? Bring some friends and make an evening of it. If you'd like to perform just turn up and register your interest when you arrive with Carol McCoy or Ted Horton. NOTE: Sometimes the above dates can change due to unforeseen events, so please sign up for our newsletter or like us on Facebook so we can notify you easily.